Mark is one of the most dynamic and inspiring speakers in the youth market today. In 2005 Mark Hoog introduced the Growing Field book series and shared philosophies traditionally reserved for adults: personal growth, leadership and self-esteem. 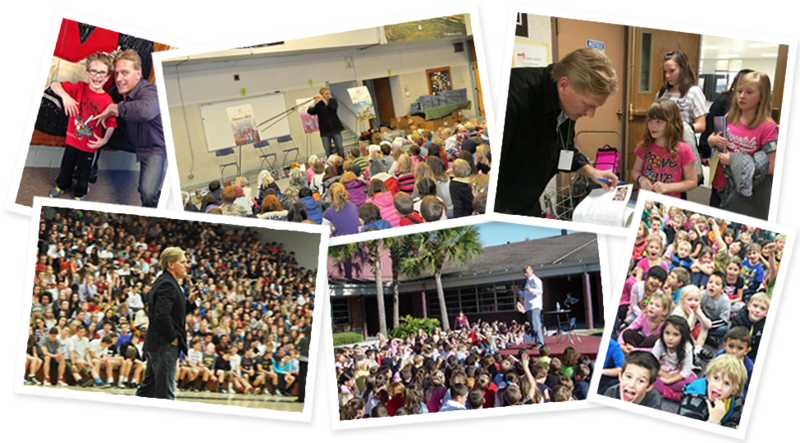 Mark's motivational message of living life without limits inspired children of all ages, sold over 40,000 copies, and soon spread globally. The rest, as they say, is history. The youth self-help industry was born… and Mark (and the Growing Field) became its voice. Mark is invited to speak with youth of all ages and has inspired hundreds of thousands of students to embrace their ability, possibility and life potential. 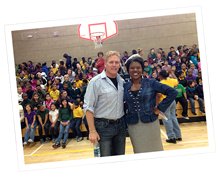 With every audience Mark has only one mission: Help students dream, and pursue, BIG dreams. 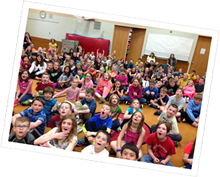 Perfect for: Student Assemblies, Author visit, Parent Night, Back To School Night, Literacy Night, Community events. As Mark likes to say, "Success means having the courage, the determination and the will to become the person you believe you were meant to be." Invite Mark to speak with your students today and help them discover that which they must become. Your school, students, teachers and parents will never be the same!